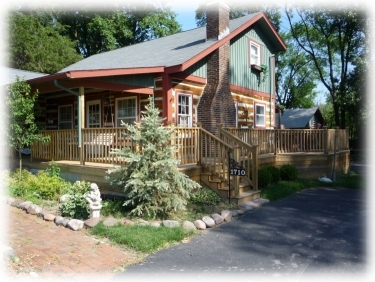 All of our workmanship is backed by a 2 Year Comprehensive Warranty! 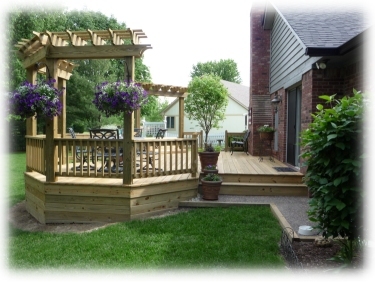 Decks By Design and it's employees have been building decks & pergolas since 1996. Specializing in decks allows us to pay attention to details, and strive to build a high quality deck every time at the lowest possible price. We can also build you a variety of pergolas. As a full service company, we design, order materials, build, and clean the work site upon completion. 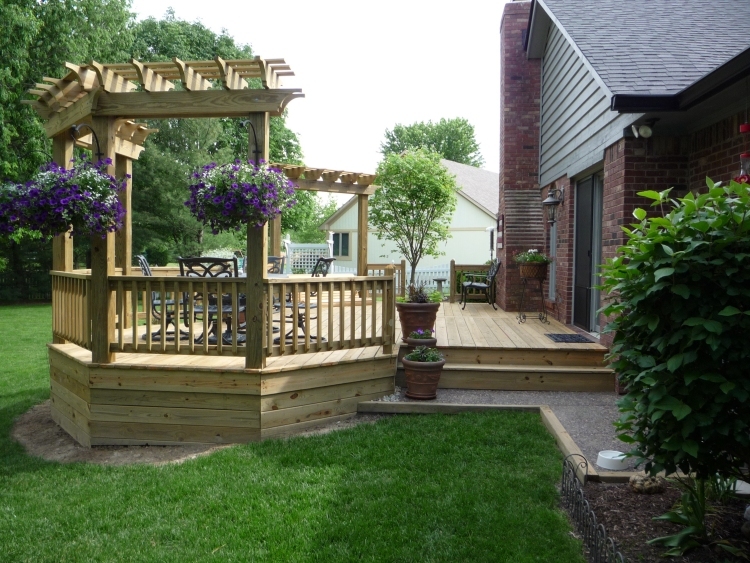 This allows you more time to enjoy your new deck or pergola. 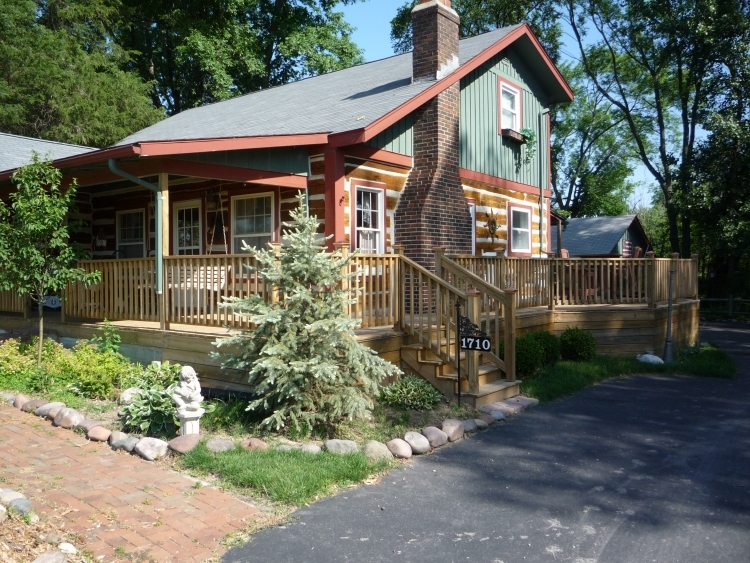 We are available to start building your project as soon as you are ready to schedule us. All our estimates are absolute price quotes. 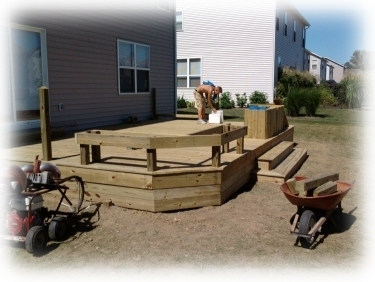 Estimated project time for an average size deck is 2-4 days. Call to set an appointment for a free estimate. 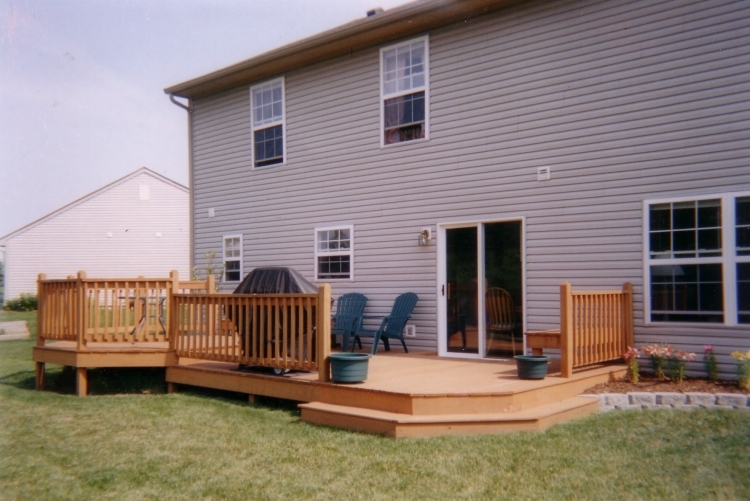 Look over our picture portfolio or our deck designs to help you decide which features you would like in your custom project. We have a variety of features to add to your custom deck. We can custom build railings or you can choose from one of our different styles. We also have a variety of swings, benches, octagons, grill bump outs, arbors and skirting to choose from. 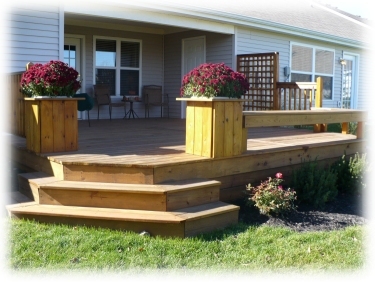 We can use a variety of decking materials. Click Here for more info on materials. In most cases, we can give you an estimate the same day as you set up your appointment along with a drawing. 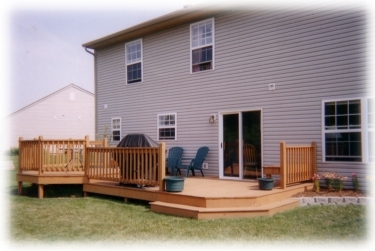 As soon as you decide to have your deck built by Decks By Design, we will email, mail or fax you the paperwork and when you receive it simply sign and send it back to us, we will then schedule your project. We require no deposit when the paperwork is signed for most projects. The balance will be due within 10 days of the completion date. 0% Down- Pay When Job Is Completed. Strong, Comprehensive 2 Year Written Warranty. Absolute Price Quotes (Never An Estimate).